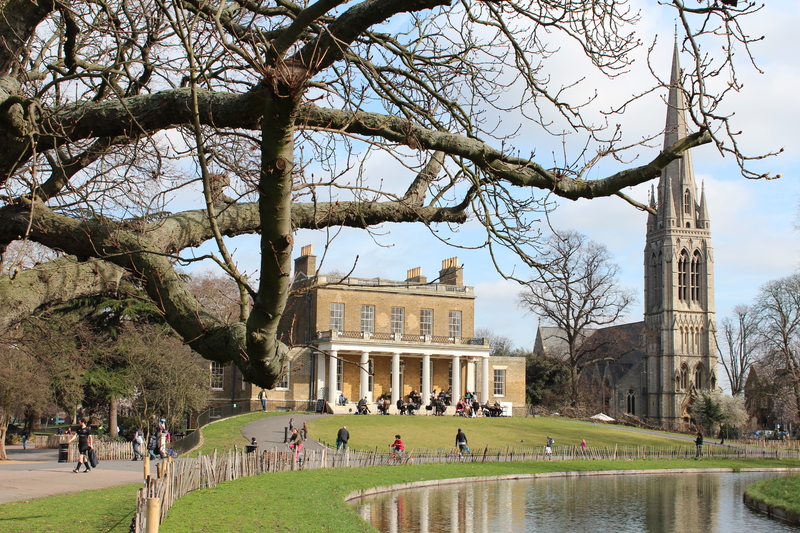 As I approached Clissold House around a bend in the river I was met with the delightful vista above. But no, Clissold House is not located in a peaceful little village in the English countryside but in Hackney (Stoke Newington, to be precise), and I think you will agree it makes for a rather pretty – if somewhat unexpected – picture. 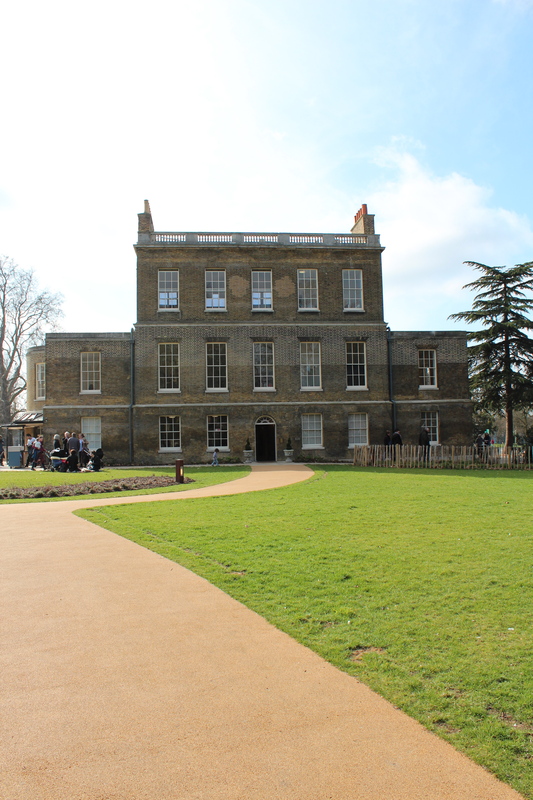 Clissold House, which dates from 1793 (architect unknown) and is located in Clissold Park, has recently undergone a £4.46 million restoration courtesy of Lottery funds, so the Londonphile popped by for a little look-see and a tour of the property. Eastern side - the front. The original owner of Clissold House, Jonathan Hoare, chose the site for its proximity to the New River, an artificial river opened in 1613 to bring fresh water to the capital. This once flowed past the house and continued as far as Clerkenwell, and has now been restored and extended to resemble its original appearance. Another spot of artifice is found in the construction of the grassy knoll that the house appears to sit on; this was built up on the western side of the house on top of a series of vaults, which are still used for storage today. This created an architectural oddity, with the house having two storeys on the western side and three on the east. Also a matter of much confusion is the question of which side is actually the front of the house. While important guests were received on the carriageway at the western side, the more restrained eastern side – which looked across to the village and the church (St Mary’s Old Church, not the larger church in the top picture) – was actually the front of the house. The story of how Clissold House – originally named Paradise House – came into its new name is another intriguing part of the house’s history. William Crawshay, who bought the property in 1811, forbade his daughter Eliza to marry her beloved curate from across the lawn at St Mary’s. So they simply sat and waited, watching each other from across the way, until William died and Eliza inherited the house and married her man: Reverend Augustus Clissold. As they had no children and their family were not interested in the property after their deaths, it was bought first by the Ecclesiastical Commissioners and later – following a vigorous public campaign to turn it into a public park – by the Metropolitan Board of Works, who opened Clissold Park in 1889. 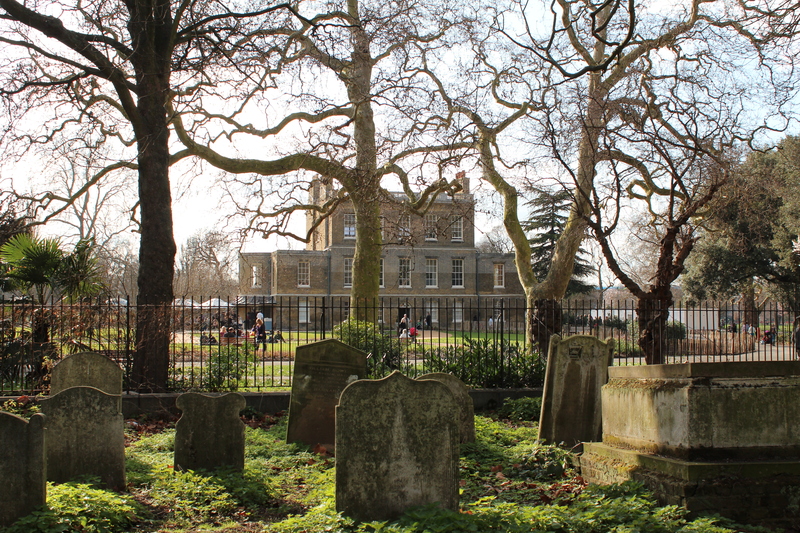 Reverend Clissold's view from St Mary's to the eastern side of the house. As the original plans for the house have yet to be discovered, the recent restoration took place along best-guess lines with regards to layout. The lovely old oak floorboards have been retained, while the highlight is definitely the spiral staircase, which reaches up towards a glass dome. And take a moment to visit the poignant memorial drinking fountain on the northern side of the house – still in use today, and complete with trough for animals at the base – that a Crawshay family member erected in memory of her three young sisters who had died in infancy almost sixty years previously. Free 30-minute tours of the house were arranged to mark the re-opening, and although they were originally only intended to run for couple of months have proved so popular that they will continue for the time being. As much of the house is now used as a cafe and a community space you can have a mooch around much of it by yourself, though a tour will get you into a few extra rooms and is also worth it for the fascinating story of the house (although there are some information panels in the western cafe if you’d rather do it yourself). I’m told the people at Clissold House still hope to find out more about the property and its history, so if any historians out there stumble across anything do let them know! 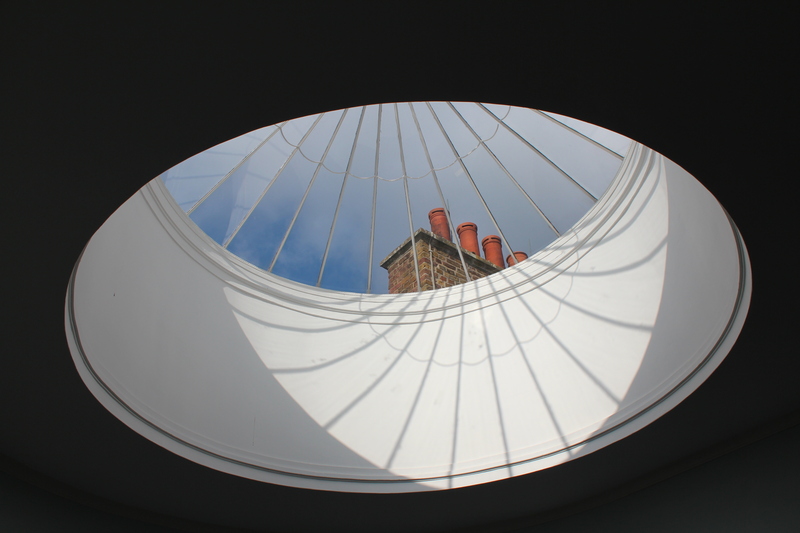 Email clissoldhouse@gll.org to book tours; these are generally held on Tuesday and Saturday afternoons.